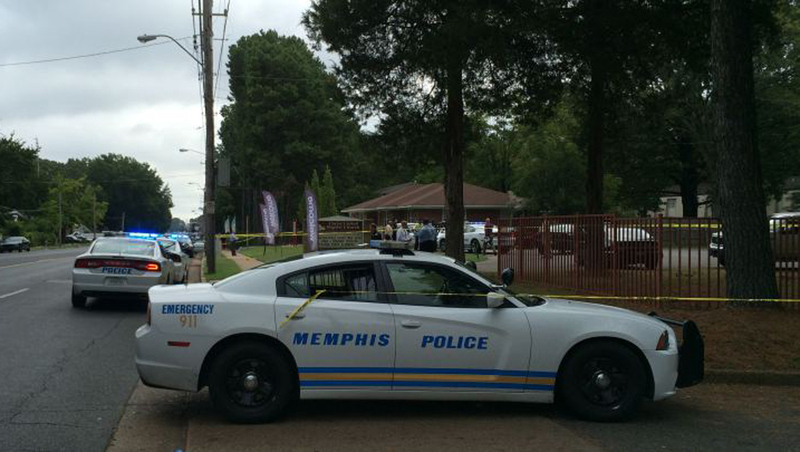 MEMPHIS, Tenn. - Three hours after a woman was gunned down outside a day care facility on Tuesday, the victim's husband - who was the alleged killer - fatally shot himself, reports CBS affiliate WREG. The day care shooting took place in the parking lot around 8:20 a.m. Tuesday in Memphis, according to the station. Emergency crews responded to the University of Little Scholars, where the woman was employed. Police say the woman's husband was the shooter and that he had a history of domestic violence. Neither the victim nor the suspect has been identified. WREG reports the couple leaves behind two young daughters. The station reports that, following the shooting, the man barricaded himself in his home for about three hours before ultimately taking his own life.